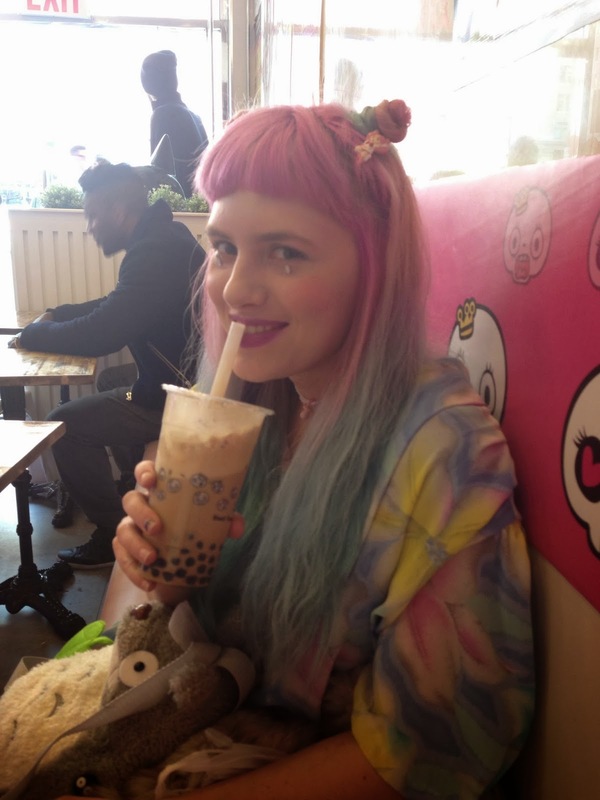 Friday was my last day of work at the office and even though I had been at work since 9 am, I was ready for the extra, more fun 4 hours of my work day at Cotton Candy Machine for Junko Mizuno and David Cook's opening. There was an amazing turnout and it was a really busy night. I didn't even get a good look at the work until after everyone had started to leave. 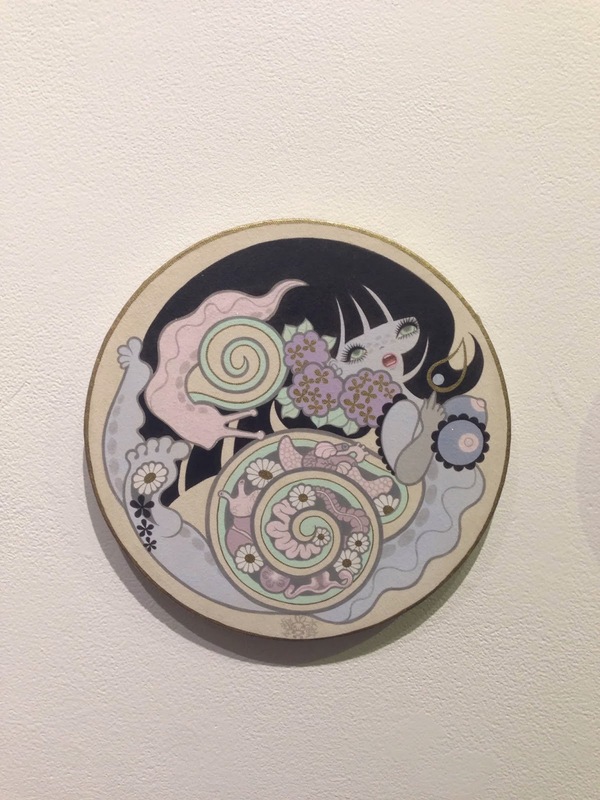 I was so happy to have the chance to meet Junko Mizuno. I wanted her to sign a copy of one of my books of hers, but I couldn't find Cinderella or Hansel and Gretel in my house and all the copies in the store sold out before I could reserve one for myself so I just had her sign my sketchbook. I'll consider it a reminder to make more art. I also met this artist/musician named Voltaire who just did a Google search on and realized I knew his work without knowing who he was. Whoops. After most people left, Junko shared some desserts that someone brought for her. That was really exciting to me both as a hungry person and a fan. Photos won't be up for probably a week or something so I only have the few from my phone. I can edit this with a link to some of the photos once they're online. 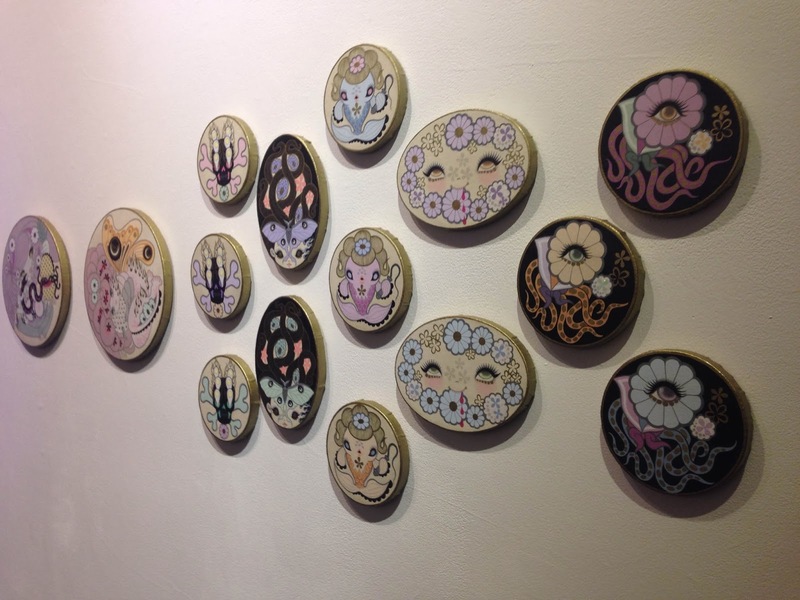 The show is up until April 1st so check it out! 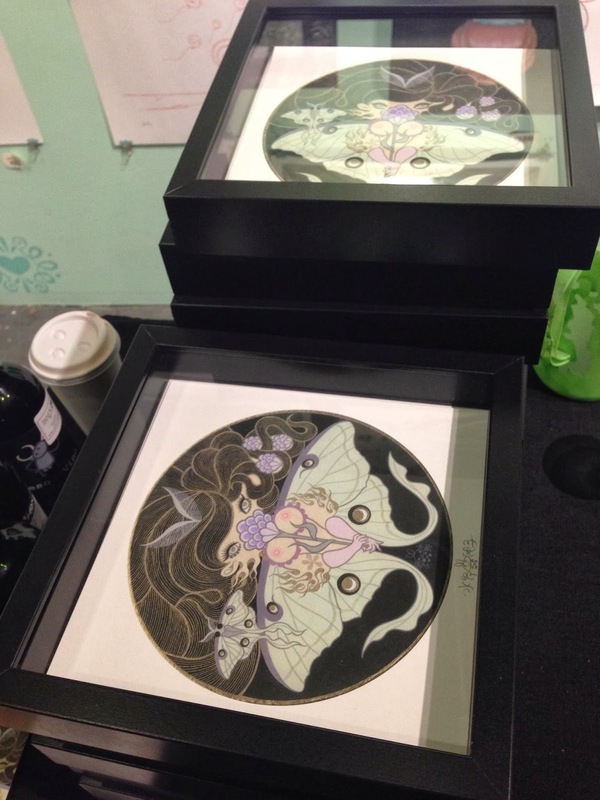 I helped frame these limited edition prints. I'm sad that I can't go to any of these shows for the next year. I'm working on coming to terms with the fact that I can't be in two places at once. I was so tired on Saturday because I was dragged out to a bar the night before for what seemed like forever. It was 48 degrees out which is almost 50 degrees which is almost warm but not quite. So that was a pleasant surprise. I decided not to wear a jacket which wasn't the worst idea because then I didn't have to carry it all day although I would have been happy to have it while waiting in line for the show later. At around 11, I met up with my friend Kaley. We grabbed some onigiri from the cafe at Kinokuniya bookstore and we went to see Sebastian Masuda's exhibition. I already had gone to the opening but 6% Dokidoki model Yuka was doing performances this weekend so I had to go back. 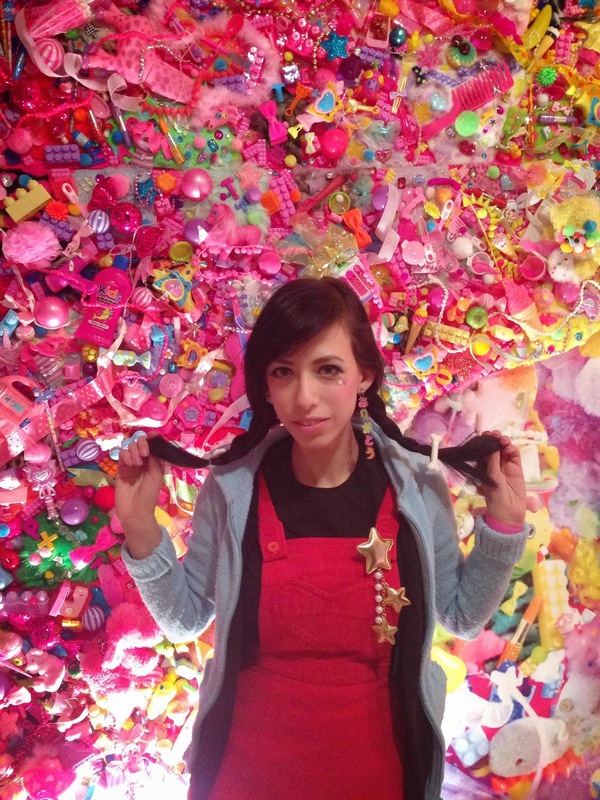 They played old Disney music and as a woman at the gallery explained, Yuka acted similarly to Sebastian's experience when creating the installation. Yuka demonstrated this by existing within the space as if it was her bedroom and alternating between actions like brushing her hair and reading a book, to climbing under the bed sheets. By the end of the performance, she had changed from a white nightgown to a green one. Yuka is too cute. I saw her later that night at Kyary's show too. Eventually we did make it to the infamous Best Buy Theatre line which was already way around the block by the time we arrived after 3:00. But I was meeting up with Saxon so we just met her in line. 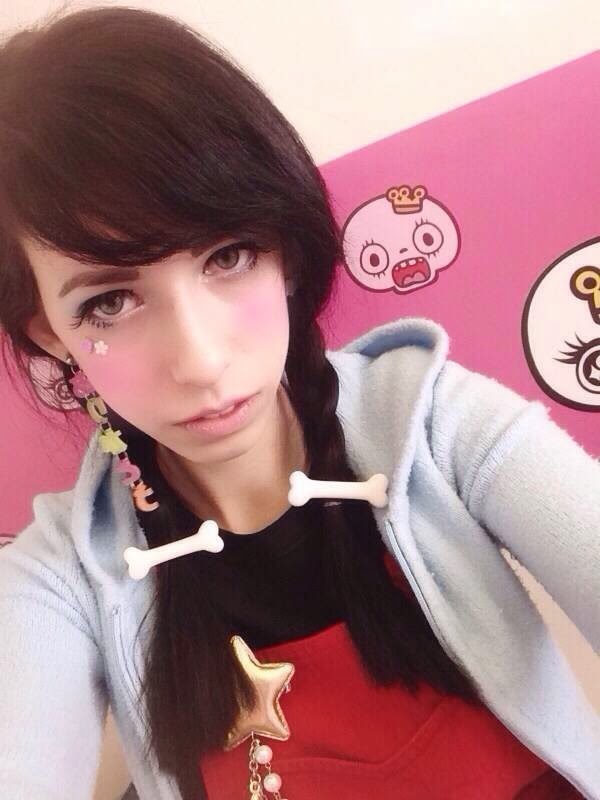 She makes all these super cute tights and gifted me a pair of Creamy Mami themed ones. I'm so excited to wear them and I'll definitely post photos when I do. These Japanese TV people came and interviewed me and Kaley and then asked for my email address so they could maybe talk to me more. Last year they went into people's rooms to talk about their interest in Japanese culture. My room is currently a mess so I would have appreciated an email from them to motivate me to clean it. My mom's complaining clearly isn't doing it for me. Still no email though. ~sad~ Similar to last year, everyone in line became friends. 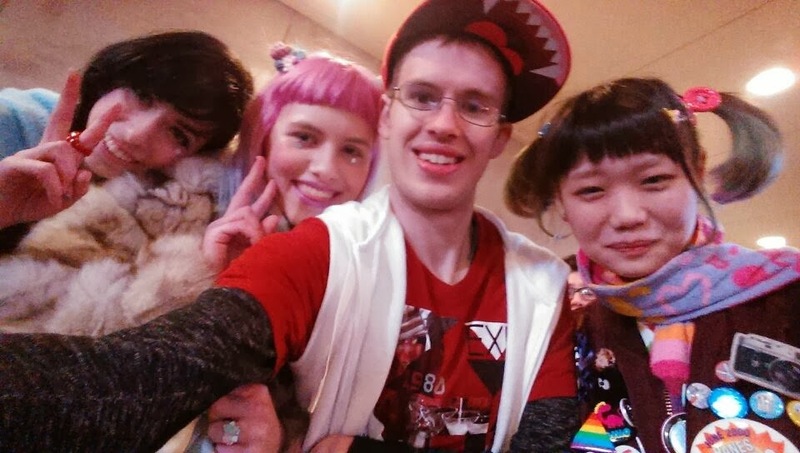 We saw Elleanor, the Tokyo Fashion blogger, and called her over and she took a photo with me, Kaley and our new friend Cory. 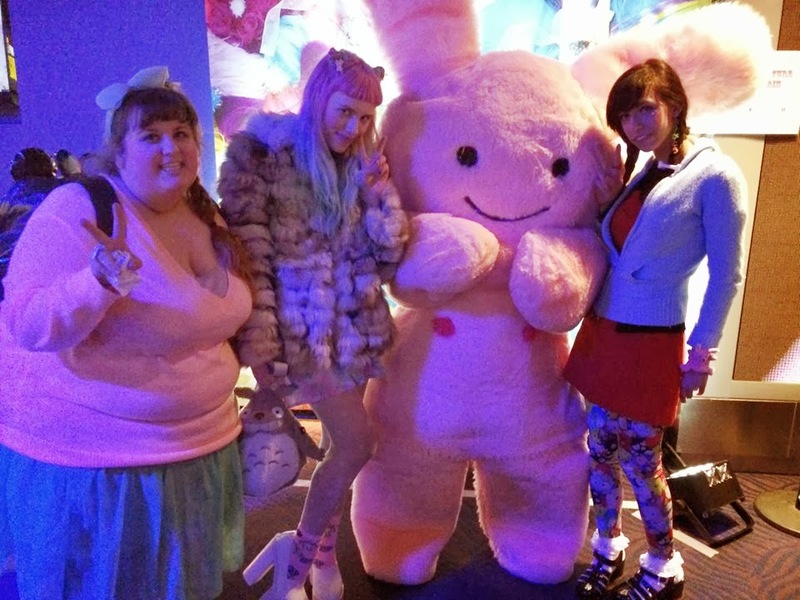 Saxon, Kaley and I got our photo taken with Pamyurin! 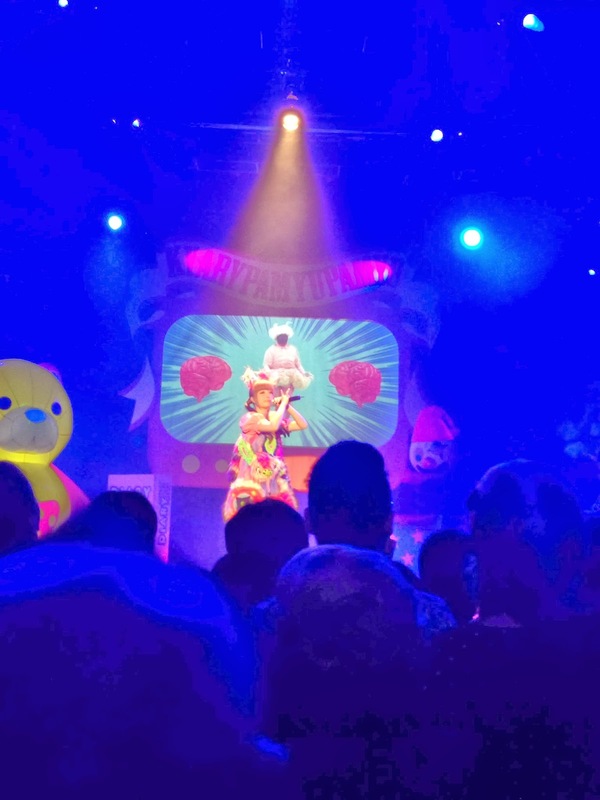 Kyary's performance was way better than last time and I think a lot of that had to do with the set. Last time the stage was entirely bare except for these colored banners on the sides and a screen for projections. 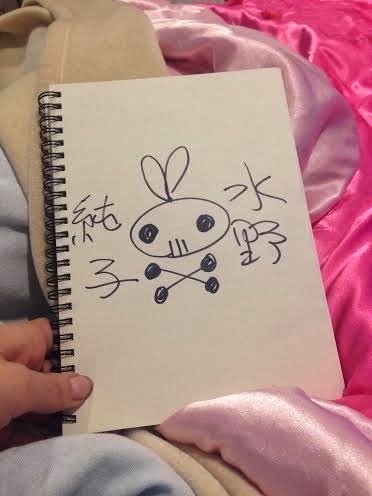 After the last tour, Kyary said in an interview that she wanted to bring a whole set. I'm so happy she was able to do it because it made the performance more exciting. This bunny danced during costume changes. My only real complaint was some of the people around me. Most everyone there was super fun, but there was this one guy who was front and center in the first row of people and at least a head taller than everyone else. I couldn't even read some of the subtitles on the video's during costume changes or see Kyary sometimes. There was also another guy who tried to push his way in front of me and the girls next to me mid-set and the one girl asked him not to do that and he was really rude back to her, demanding her to ask him again nicer. Then he just stood next to us with this smug look on his face for the rest of the show. Good riddance. It was a lot of fun without him in front of us. I love Kyary performances because they are so high energy and she's just way too cute. I hope that I can see her when I'm in Japan. There was a really cute little girl with her mother who took some photos of me and my friends. 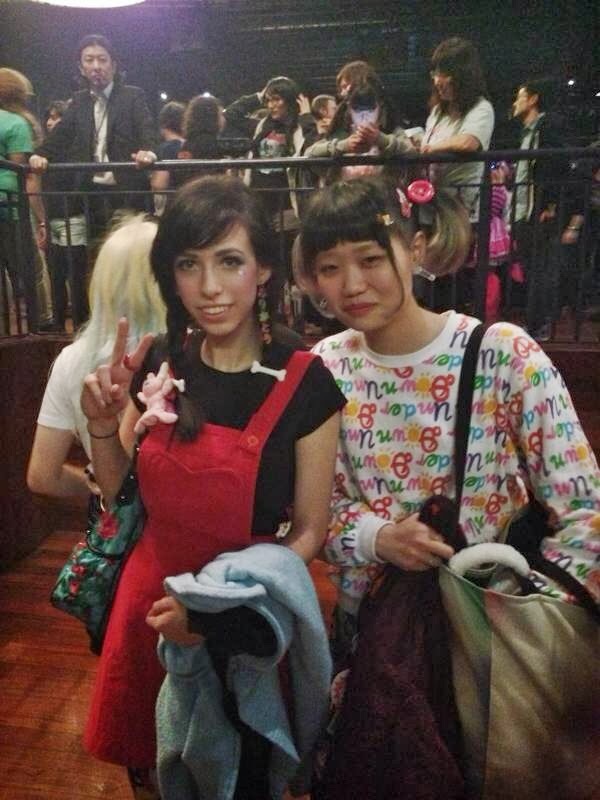 Her mom told us that her daughter is one of Kyary's dancers in Japan! I wish I knew her name so I could see the pictures she took. That was my super exciting weekend. Now my life is back to being boring for a little while so you probably won't hear from me for a little bit. 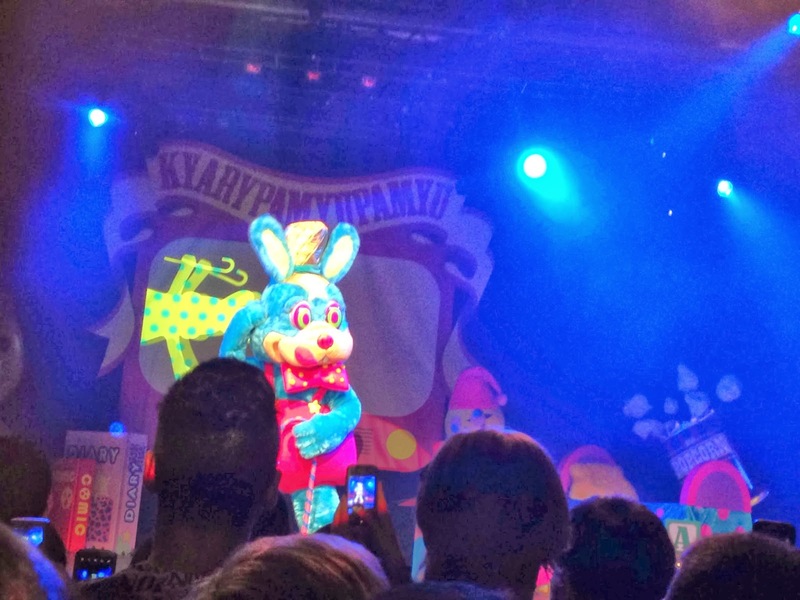 I hope everyone who got to see Kyary on this tour had the best time ever! Haha you're right! It does look that way. I guess that's kind of my aspiration.